Their are no restaurants in Breb. Currently we do not have our own restaurant, it is being built now ( May 2014) and we are hoping will be ready for the summer. How ever, this is not a problem as their are many alternatives shown below. There are a number of choices for eating out in Breb. The information below gives a brief overview of some of the culinary delights available when you rent one of our villas. Our goal in Breb is to become completely self-sufficient so that everything you eat and drink when staying with us will be, fresh, organically grown and all produced by people working for us. We call our small cluster of villas ‘the Village Hotel’ because we feel this is the best way to describe your experience when in Breb and the accommodation you will be staying in. 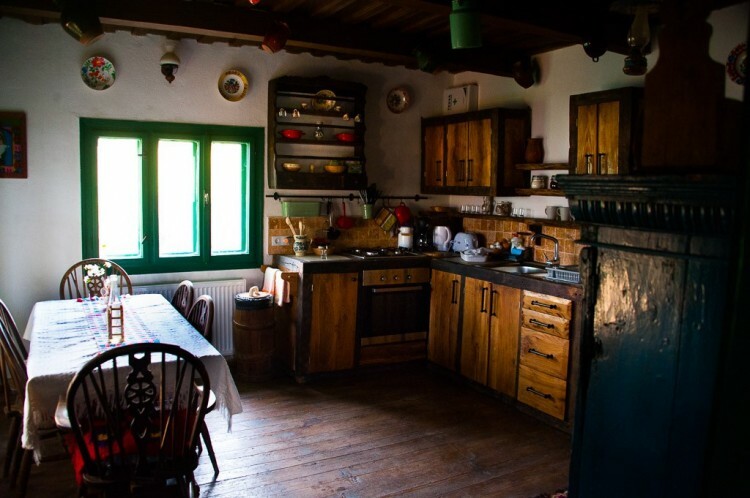 Each room in our wooden Maramureş houses has been restored in keeping with its traditional exterior, complete with hand-woven woollen rugs, embroidered cushions, and colourful ceramics. 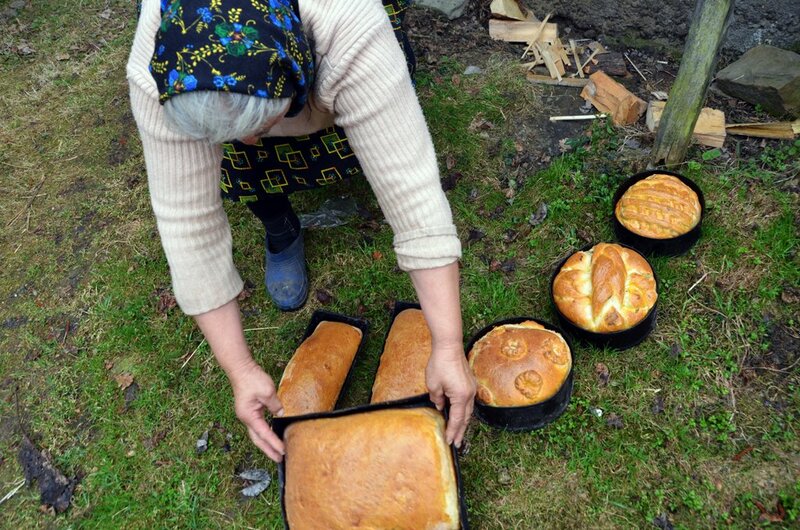 The people living nearby are locals, meaning that the old culture lies on your doorstep. 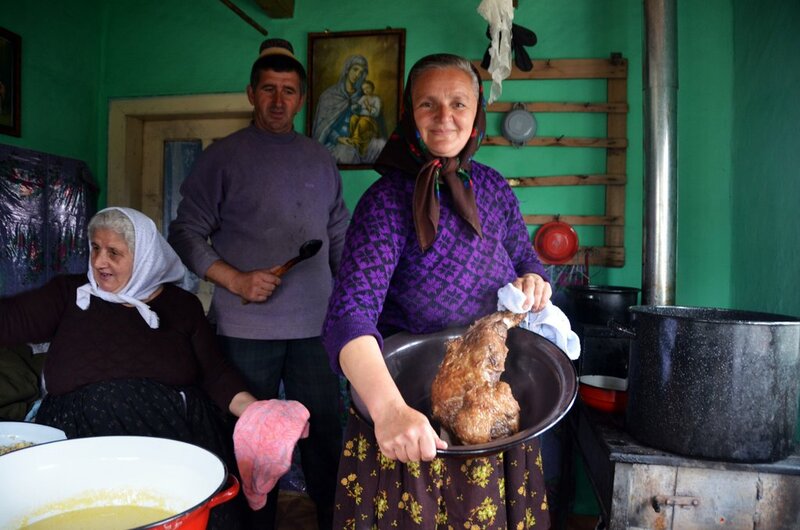 Take the opportunity to immerse yourself in Breb life by having dinner with the villagers as guests of the family and hear their stories, or enjoy your comfortable kitchen in the villa – equipped not only with cooking utensils but local honey, milk fresh from the cow and other fresh ingredients when in season. This trout farm doubles up as a restaurant, the beautifully crafted wooden building arching across the river where the trout are caught. Casa Alex also sells fresh fish, in case you fancy taking any back to your villa for the following day. The shops, local households and vegetable patches provide everything you need for a summer picnic. Half an hour’s walking will take you into the higher fields of Breb towards the mountains, where you can enjoy spectacular views over a relaxed lunch. Alternatively we can easily arrange a lift for you – via a horse and cart. Want to see more pictures of breb? Our villas have fully equipped kitchens with basic ingredients for self-catering. Additional ingredients are readily available in the local shops and vegetable patches. Want to visit Breb on an all inclusive tour? We have a network of locals homes that will serve your dinner. 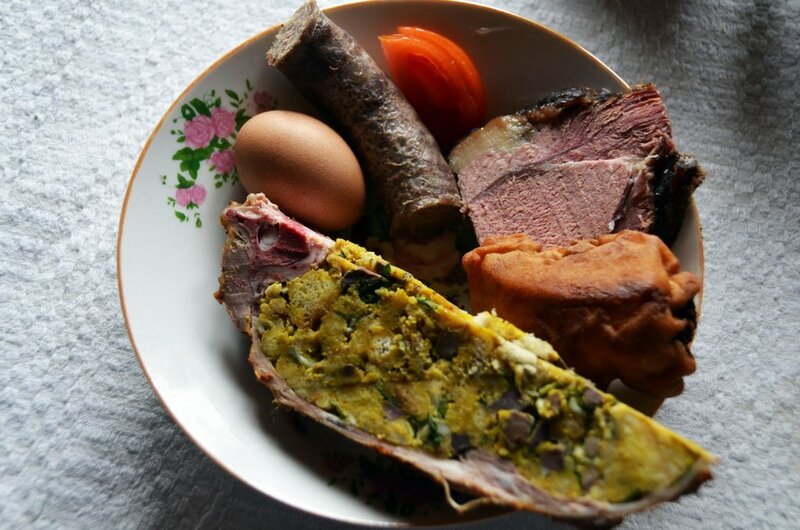 Some are not so traditional and the food is excellent, and some are a bit wild and a bit of an adventure, the food being basic local traditional dinners. 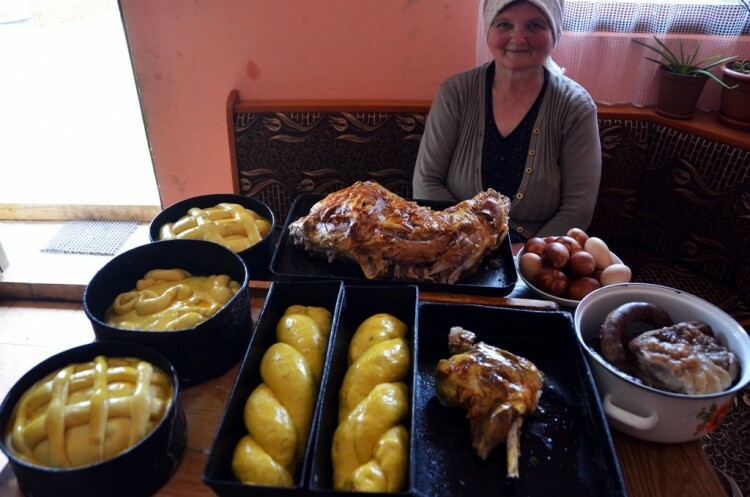 You will normally have a soup starter, a main course of sarmale, or chicken and mash potatoes or mamaliga for the main course and a plate of home made cakes… and of cource as much Horinca as you can drink. 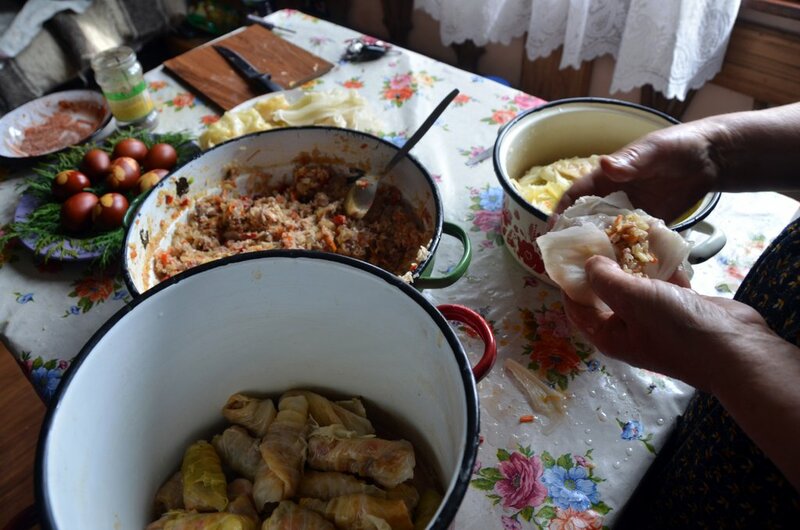 Potatoes, cabbage, onions, tomatoes, garlic, grapes, apples, plums, pear etc etc are all grown in the village in the same way they have been for generations. It will open your eyes on how you can live and eat, really healthy food if your from a city. If you grow your own at home, you will appreciate the tomatoes that bit like apples and the onions that have taste like non from the supermarket. Have a date in mind on when to visit Breb?